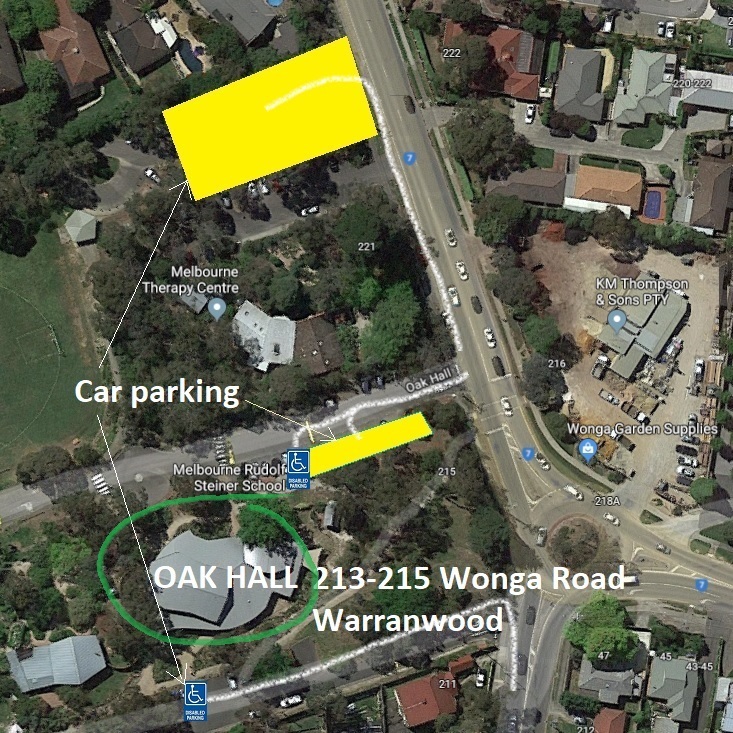 general carparking located at the Northern Carpark (entry is 20 metres north off Wonga Road, just past the Melbourne Therapy Centre carpark, see map below). 2 disabled carpark spaces available on either side of Oak Hall. Melbourne Therapy Centre carpark is unavailable to Oak Hall visitors.